On January 29th, The Museum & Society department hosted a panel of museum founders titled “Museum Now”. The discussion featured Joanna Ebenstein of the Morbid Anatomy Museum in Brooklyn, Alex Kalman of the MMuseumm in New York City, George Ciscle of The Contemporary in Baltimore, and Malcolm O’Hagan of the American Writers Museum in Chicago. Throughout the presentations, the panelists sought to determine how museums are situated, challenged, and relevant in our current society – resulting in varied, and sometimes disparate, conclusions. The Museum and Society’s “Museum Now” panel provided a rich spread of museological voices, each seeking to answer larger questions regarding the nebulous concepts of form and purpose. Below, abstracts of the four presentations underline key concepts and ideas communicated by each speaker. 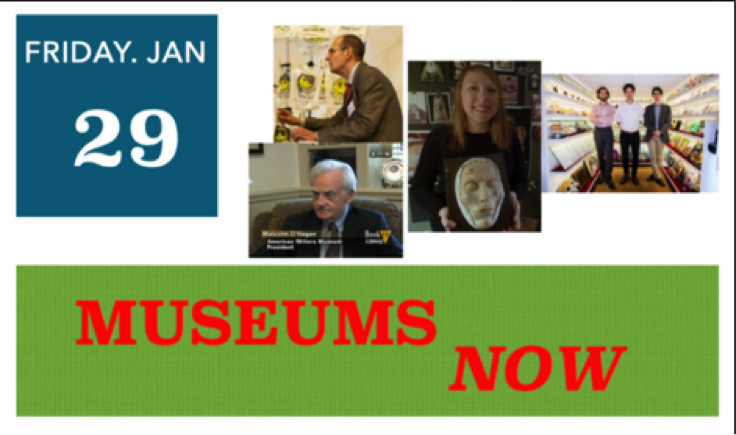 As an extension of the “Museum Now” panel, The Hopkins Exhibitionist will publish a series of interviews with additional museum professionals who similarly engage with questions pertaining to the varied manifestations of the modern museum.